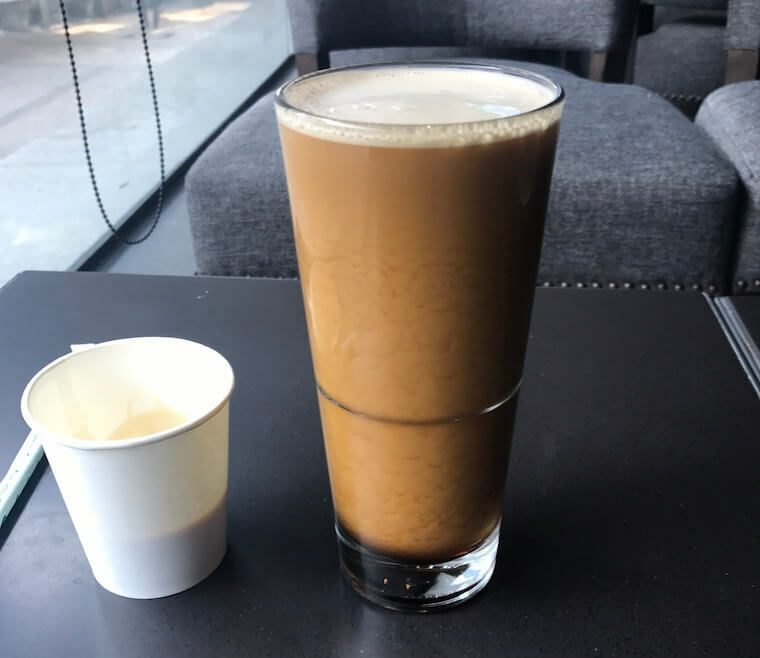 So you’ve heard about this Nitro Coffee thing and wanna know if it’s worth a try or not? You’re in the right place for photos, photos and more photos from someone who likes coffee probably a bit too much. First, what is Nitro Coffee? Well, what’s called Nitro Coffee is an abbreviation of Nitro Cold Brew Coffee which is a type of cold brew. In much the same way that Coca-Cola you buy in a bar is infused with CO2, cold brew coffee is infused with nitrogen, hence the name Nitro. The texture of the coffee is much like a Guinness, which is also infused with nitrogen. Its proponents claim that it offers a gorgeous silky smooth texture which the same taste and caffeine rush as a strong coffee. Now that’s all the encyclopedia stuff out the way, we can get to the nitty gritty. 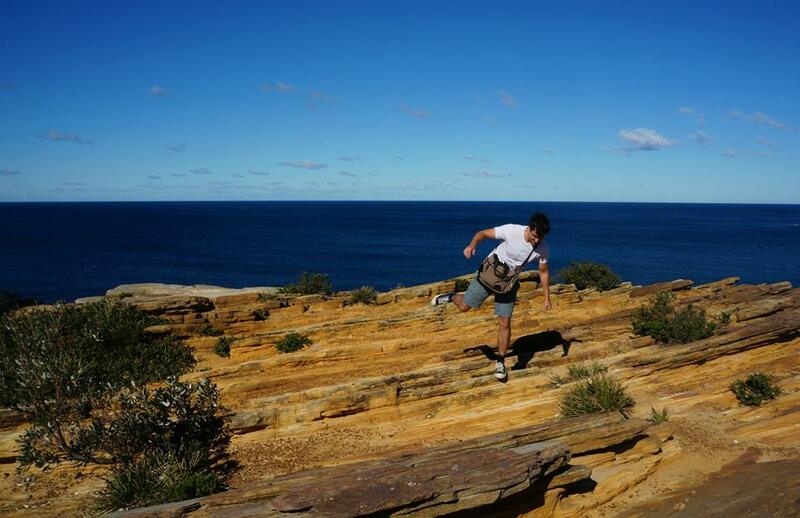 Gorgeous (kinda) photos and stream of consciousness type thoughts incoming! So… Nitro Cold Brew – or just Nitro Coffee – is a type of cold brew coffee. Cold brew is the third wave of coffee’s pet darling right now, with every man with a dog and a coffee shop offering their latest iced-honey-cinnamon concoction. 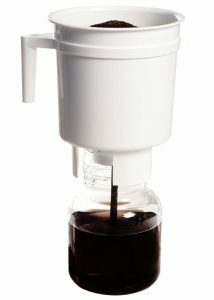 Here’s my home cold brew coffee maker, the popular Toddy T2N, which I totally love. To save you the trouble of having to look at another page on my website, I’ll give a brief overview of cold brew. The process involves throwing coarsely ground coffee and water into a big tub and letting it steep at room temperature (or in a refrigerator) for 12-24 hours. 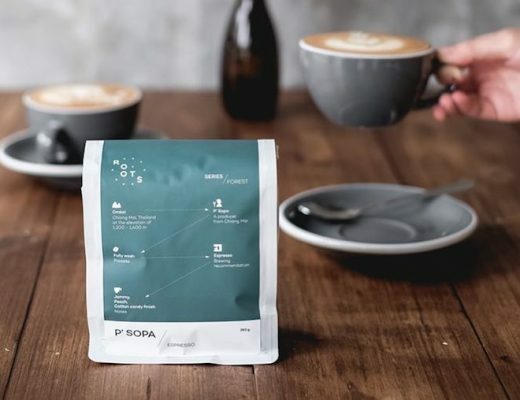 The slow process softens harsher flavors so it can be a great option for cheaper coffee beans but it can also mute the better flavors in the coffee. It is also, anecdotally at least, a good choice for those who deal with stomach acid issues with coffee . So what’s Nitro cold brew? Well you know how Guinness is made with a tap that infuses nitrogen into the drink to create that trademark velvety smoothness? Nitro cold brew is the same. 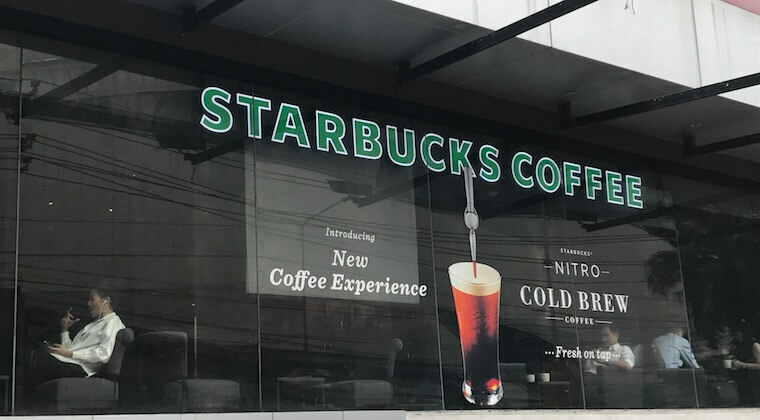 Now I’d love to find some hip little coffee shop that’s offering some nitro on tap, but the only thing near me is a mega-big Starbuck’s. That’s ok though as I’ve heard that their nitro is pretty damn good. Also, I’ve been twice before. Buuuuuut I didn’t take photos and I hardly need any convincing to spend a sunny Saturday afternoon drinking coffee somewhere. A minor health scare and the resulting consultation with some smart medical dudes convinced me to go on a gluten-free diet a year or so ago. Giving up bread wasn’t so bad, giving up pasta a little harder, and then there was burgers and pizzas and pastries and fried chicken and eating out without asking the waiter a million questions… But I could deal with all that. The one thing that really bothered me, above all that, was beer. And particularly Guinness. That smooth, velvety stout that went down so easily you’d be on your 6th pint before you even realized you were having a drink! So when I heard of this rad idea of cold coffee that fizzes like Guinness I was sold. 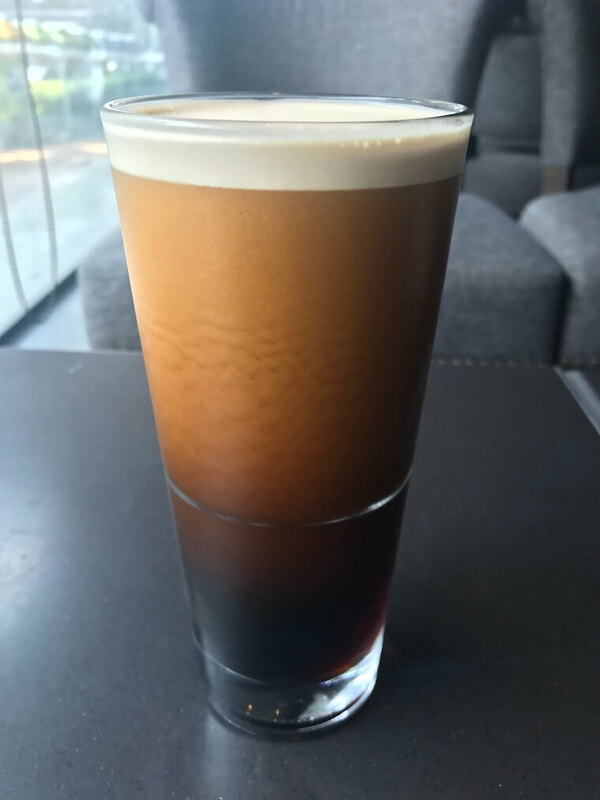 Nitro Cold Brew, or just Nitro for short, has exploded in the last year or two and I’ve been itching to learn about it and try it. 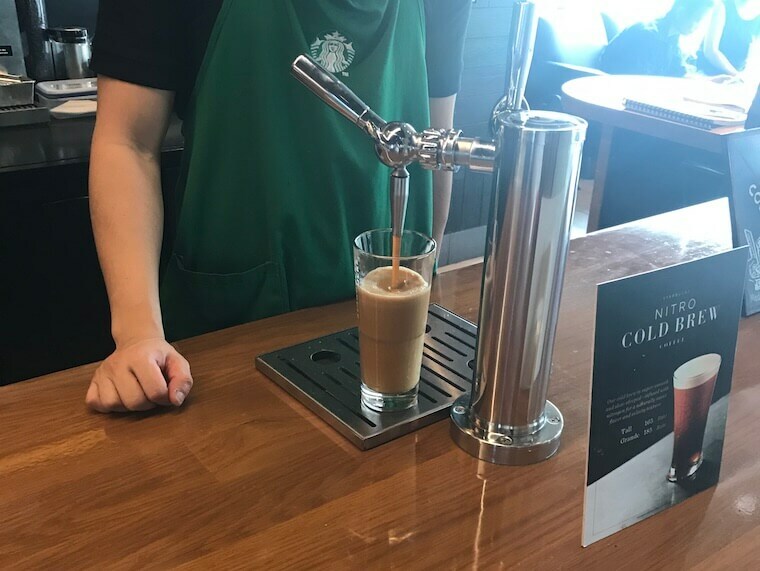 Oh look at this… The Cold Brew coffee comes out of that tap where it is infused with Nitrogen. My appetite is already whetted. The Nitro coming out of the Guinness-like tap. They were nice enough to give me a sampler in this little paper cup first. I neglected to mention that I had already tried Nitro twice because… well… free coffee. See how in the next gif the coffee is falling in a cascade, kinda like a waterfall. It’s caused by the nitrogen bubbles rising to the top. This is what it looks like at the end. pretty similar to a glass of cold brew but with a thick head and a creamy texture. I intended to wait for this to be finished before I took a sip, but I couldn’t help myself having some before it settled! Nitro coffee after it had finished bubbling! Here’s a closeup! It actually looks even nicer than this, it’s just I’m not a photographer and this was taken on my old iphone. I’ve had Nitro 3 times now which makes me kind-of-an-expert-except-not-really-at-all. You might have noticed that the photos above were all taken with an iphone 7, an unsteady hand and complete lack of composition. Well, they were all taken by me. – It looks gorgeous and very much like Guinness. – Ok it really tastes like Guinness. It’s obviously coffee but the texture is almost exactly like Guinness. – Strong. Tastes caffeinated. I did go for the larger option too, of course. – It’s unsweetened but does have a nice ‘dessert’ like feel. It tastes like a treat. – It’s also strange how there’s no milk but it feels like there could be. It’s actually got hardly any calories in too, which is nice. – Still can’t get over how much it tastes like Guinness. – Mmmmm it’s nice. Like really, really nice. – It’s similar to cold brew in that it’s hard to distinguish any acrid, bitter or astringent flavors but at the same time the more desired flavors don’t pop. – Summary? Really nice. Wish I had a nitrogen tap in my kitchen now. NOTE: The only place near me that does it is SB’s so maybe I’ll keep an eye out and update this section when I’ve actually tried it somewhere else. In terms of the nitrogen that is infused, yes, it doesn’t have any adverse reactions on the body. People have been drinking Guinness for years which uses nitrogen as well. It’s also extremely low in calories (next to 0) so a lot better than most drinks you get at Starbucks. Is Nitro Coffee stronger/more caffeinated? Yes it is. The Starbuck’s website lists it as 280mg for a Grande (i.e. 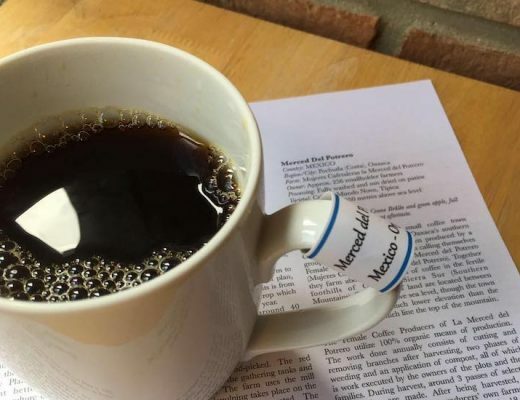 medium) and they won’t even sell you the largest size because it’s so caffeinated! Seeing as how coffee beans come from a plant and nitrogen is not an animal (it’s an odorless gas) then I am happy to report that Nitro Coffee is perfectly vegan/vegetarian friendly. 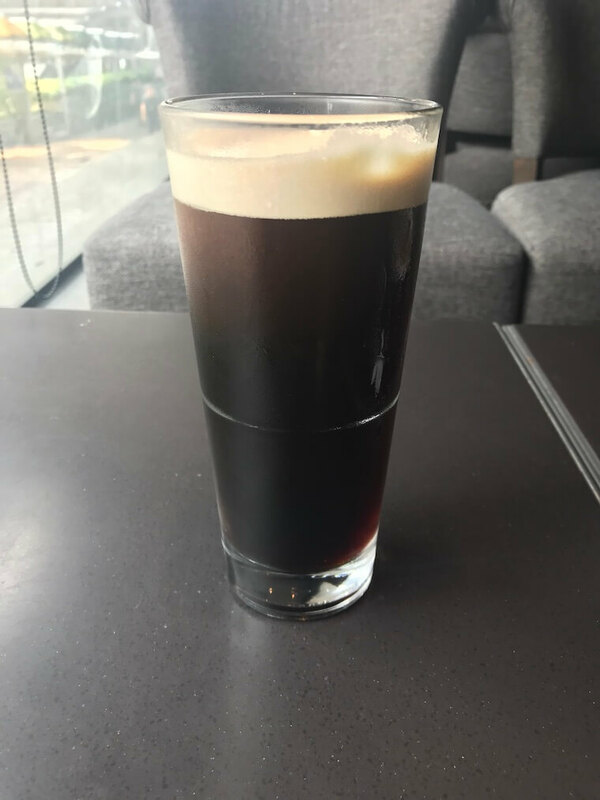 Is Nitro Coffee keto/low carb? Nitro coffee is basically zero in calories.This is a treat that tastes like it has 100s of calories but only has 5 for a large at Starbucks. I can’t find data on the number of carbs but 5 calories is a maximum of 1g carbs so it’s pretty safe if you’re doing a keto diet. Is Nitro Coffee gluten free? Yep, just coffee and nitrogen, no presence of a grain of wheat anywhere near here. Technically it is not. Carbonation refers to the process of infusing drinks with Carbon Dioxide like many soft drinks or beers. 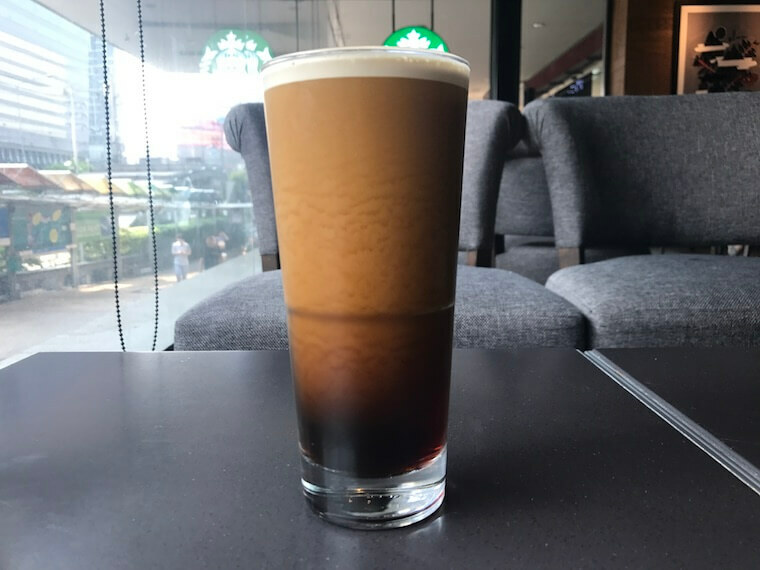 Nitro coffee is infused with nitrogen which as far as I can tell doens’t have its own name. – Now I’m going to give props to Starbuck’s here. 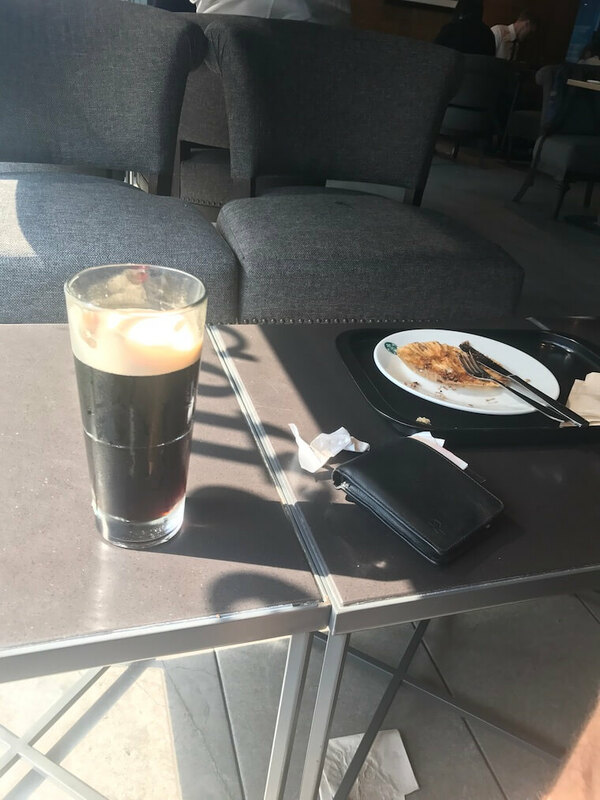 I’m not a big fan, and have written a little bit (ok a 3000-word treatise) on the issues of the place, however I can safely say… Nitro Cold Brew Starbucks = badass coffee drink. – If you’ve not heard of Nitro until recently, there’s a pretty good reason: it didn’t exist until a few years ago. Some wise scholars (perhaps the wrong term) put the date of creation at 2011 or even just 2015. – There’s a good reason that Guinness and Nitro are spoken about in the same breath – they use the exact same process. Whereas lager beers are typically infused with carbon dioxide to give them a light fizz, Nitro and Guinness are infused with nitrogen instead. Nitrogen is odorless and colorless, it only provides the bubbles and the texture (or the fizz and the cream). Nitrogen and carbon dioxide are both gases but the bubbles of nitrogen are much smaller so they dissolve into the liquid much slower. That leaves a creamy texture with a thick mouthfeel. In fact, Nitro is not typically served with ice to preserve that texture! – Tough to make at home. You need a keg and some nitrogen and well I’m probably not the right person to look to for advice on getting this setup. Don’t fret though, the internet is out there. – My advice? Get yourself into some cold brew coffee without the nitro… here’s where to start. That plate was left by another customer and didn’t get cleared up the whole time I was there! 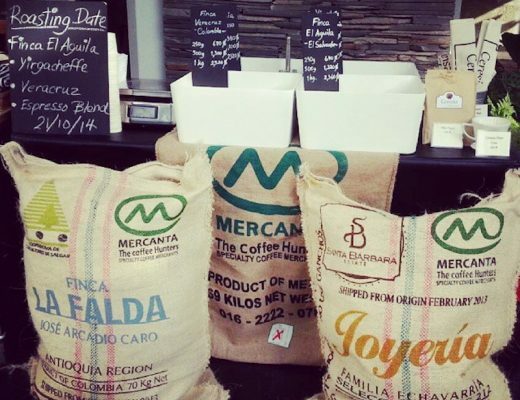 What Is The Third Wave Of Coffee? Do you think it loses the nitro effect if it sits overnight in the fridge? Does a Coca Cola go flat if you leave it overnight? While I don’t want to waste a drink testing this, I’m pretty sure much of the nitrogen would be lost or dissipated if you did that. Looks good! I can’t get myself to a Starbucks, though, because I have so many Rockstars in my fridge.